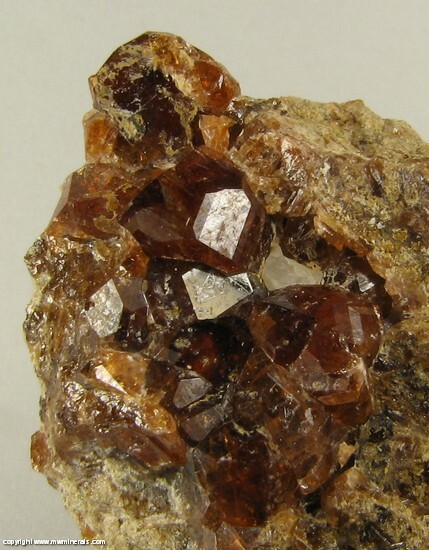 Reddish brown colored Andradite crystals cover approximately half of one surface of this specimen. 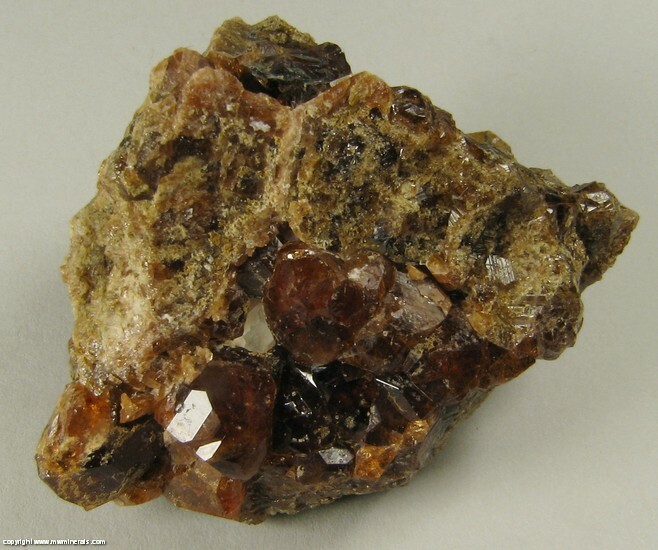 The rest of the specimen is composed of massive Andradite with a few other extant crystals. The crystals are semi gemmy and have a high luster. 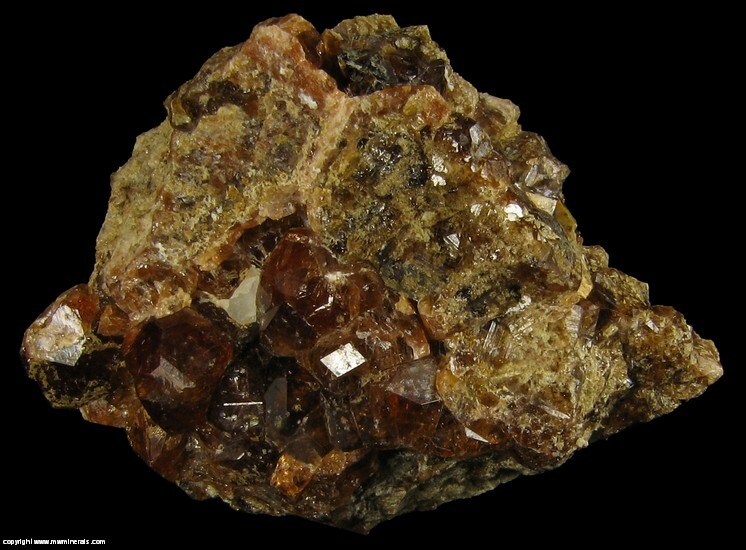 From a location from which Andradite specimens are seldom available. 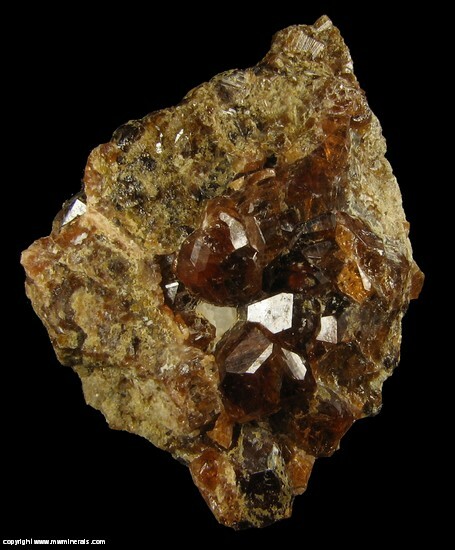 The specimen is in good condition where the crystals are extant.